During August and September we ran our first Trans-Tasman Audiology Professional Development series. 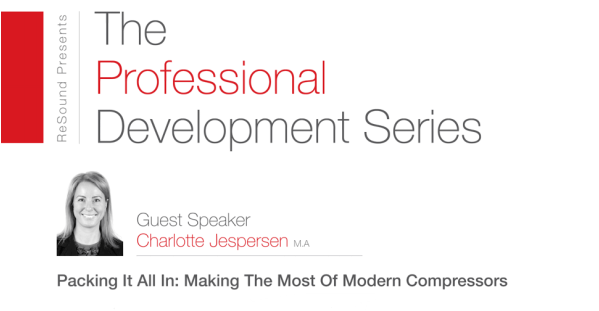 With renowned expert Charlotte Jespersen, we traveled to Auckland, Christchurch, Melbourne, Sydney, Perth, Adelaide and Brisbane to bring you an exciting educational seminar on Making the most of Modern Compressors. ​Now, available online, don't miss out on seeing Charlotte's presentation. Just click the link below to see the webinar today!